Our desire is also to go deep into the heart of God! The motto is to know God and to Make Him Known. In YWAM we don’t just teach you, we walk with you on your journey as you grow in God. We love to encourage & challenge you to step into all that you are made to be and do! DTS is designed to give you tools & experiences that deepen your relationship with God and opportunities to share the gospel both locally & in cross-cultural contexts. The course is set up into two parts: lecture phase & outreach phase. During the 12 week lecture phase, you will receive biblical teaching & ministry from quality international speakers on a new topic each week. Our speakers are handpicked; they will come to both teach as well as minister to the staff and students. DTS integrates learning & doing – you’ll have ongoing opportunities to process what you are learning & apply it to everyday life. You’ll be part of our community life, small groups, one-on-one mentorship, local outreaches and more. 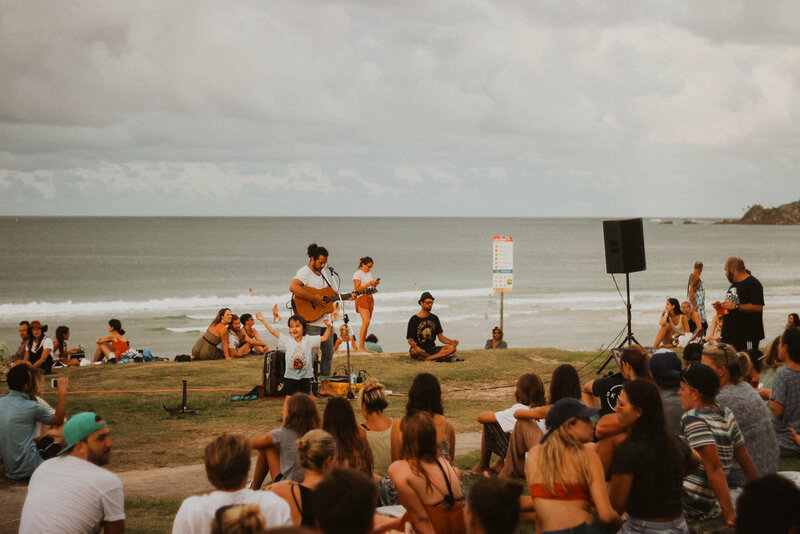 And Byron Bay itself is an incredible little surf town that you’ll want to get to know. There are beautiful beaches, surf spots, cafes, shops, skydiving, snorkelling & more to help you enjoy yourself to the full while you’re here! In addition to the local outreaches you’ll have between 6-8 weeks of overseas missions. Our base here in Byron has connections and a heart for many of the east Asian countries like Indonesia, East Timor, Papua New Guinea, Cambodia, Thailand & India. Our outreach motto? 'You receive power when the Holy Spirit comes upon you and you will be my witnesses in Jerusalem, Judea, Samaria and the ends of the earth.’ Acts 1:8. For all other details, have a look at our About and FAQ sections. If you can’t find an answer there, feel free to contact us directly & we’ll help you out! Check out our ministry opportunities, contact details and payment options directly through the navigation bar up top!